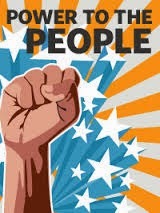 Power to the People was a rebellious slogan for Boomers in the 1960s and 1970s. For Millennials, Power to the People represents actions available through the social internet. Boomers – who have “ruled” American industry, associations and nonprofits for two decades or more – are discovering implications of their slogan turned to action. I thought of this as I read a preview copy of the new book When Millennials Take Over – written by Jamie Notter and Maddie Grant – that will be released March 12. This thoughtful, well-researched book provides valuable information for association leaders and professional staff. And, it provides more indepth generational information than what most of us have been reading and hearing. Citing work of William Strauss and Neil Howe, Notter and Grant note there have been 18 distinct generations in U.S. history ... with a new generation emerging about every 20 years. Every generation is shaped by what happens around them as they come of age. It has now been about 80 years since the major changes emerging from the Depression/World War II era. Modern management – invented only 100 years ago – treats the organization like a machine. A growing body of evidence suggests this machine approach may be aging ... especially as it relates to employee engagement. Industry leaders complain about their inability to keep up with the pace of change and changing technology. Machines (and organizations acting like machines) are by design not very good at either engagement or agility. The internet has change our society as well as our economy. The original internet has morphed into the “social internet” (blogs, YouTube, Wikipedia, Facebook, Twitter, etc.) leading to an explosion of content, information, news, entertainment. The social internet has shifted the balance of power between individuals and institutions. The more individuals experience the new power the social internet provides, the more frustrated they become with traditional bureaucracies and hierarchies. The 80 million millennials (born 1982-2004) is the largest generation in U.S. history. 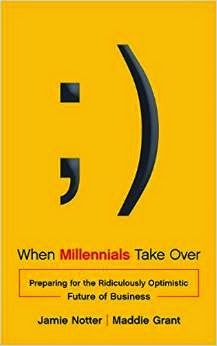 Trends shaping millennials include: the social internet, abundance, diversity, the elevated status of children (and, I would add international terrorism). Millennials have been friending, following and creating/sharing content (including photos) since they were children. Millennials are not the first generation frustrated with bureaucracy and hierarchy but they are the first generation given the tools to get around them. • Buy it. Read it. Study It. Share it with your leadership.